I couldn't really wrap my brain around it in the beginning either. After much thought, I figured lentils are beans and we love beans in our taco meat, so why not! Turns out, lentils are pretty healthy and a great source of fiber and protein. This week's submission for Figure Friendly Friday is Lentil Ground Turkey Taco Mix. Use this in soft tortillas for burritos or soft tacos. Pour it over tortilla chips for nachos. Spread it over corn tortillas for tostadas. The possibilities are endless. It is so good! We all really love this a lot! Rinse lentils and sort out the rocks and debris. Bring water and bouillon to a boil. Add lentils and spices, reduce heat to simmer, cover and cook for 30 minutes. In a skillet, heat vegetable oil over medium heat and saute onion, garlic and salsa. Add salsa mixture to the lentils when the onions are translucent, so you won't wait until the 30 minute timer is up to add them. Brown the ground turkey, drain and set aside. When the timer goes off, add turkey to the lentils and cook for another 15 minutes. What a fantastic idea!!! 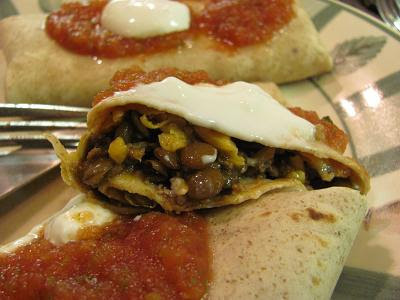 I love lentils, and though I often add beans to taco meat, I've never thought to add my favorite legume! Thanks for linking up to Friday Potluck! Love lentils & tacos and this sounds wonderful! Thanks! My kids would have a cow (pun intended) if I added lentils to their Mexican ground beef! But...I may set aside a batch and work the lentils in for my husband and me. It's such a healthy idea! 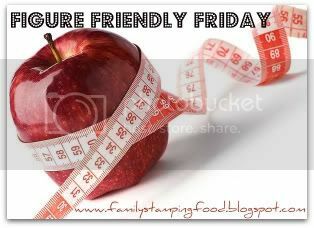 Thanks for linking to Food on Fridays this great reminder for how we can stretch the expensive stuff and add some healthy stuff. Lentils taste great in chili too! This sounds pretty darn tasty! I love all the flavors, and the addition of lentils makes it a homerun in my book. I like this recipe. Healthy and yummy looking. I am a new follower and hope you'll visit our blog soon! Thanks for linking with us. Great way to enjoy legumes! Thanks for sharing your recipe. I've never tried lentils, but this looks pretty tasty. Did you quit doing the link up for this? Brilliant ideas to stretch meat! I've added beans to our taco meat mix, but not lentils! Will do that next time! Thanks for visiting QM and introducing me to your blog! This sounds amazing! I'm going to have to try this VERY soon! Looks like a nice and healthy (and frugal) meal! I saw you on the list for the Slimmer This Summer challenge over at Debbi's blog. I’ll be participating, too! I’ve got a lot to lose. Although, I’m a bit nervous about taking part in a challenge, I know that I’ll find the inspiration and support I need among new friends! I’m a GFC follower and look forward to reading about your progress throughout the Slimmer This Summer challenge!